Gasoline prices jumped nationwide in the last week, all due to rising oil prices and the belief by oil traders that OPEC's agreement to reduce output will send prices still higher in 2017. After creeping higher in late 2016, oil today is trading between $52 and $55 a barrel. The AAA Fuel Gauge Survey shows the national average price of self-serve regular is $2.35 a gallon, up about six cents in the last week and 18 cents higher than a month ago. Last year at this time, fuel prices were headed lower, not higher, with the national average price at $1.99 a gallon. What's different at the start of 2017 is the belief that the world's oil producers – OPEC and non-OPEC producers alike – are finally on the same page, agreeing to curtail production in order to shrink the oil glut and send oil prices higher. Whether that actually happens or not is far from certain, but the market – which sets the price of oil – is betting that it will. The result is gas prices that are higher than they have been all year, but still significantly lower than 2014, when the national average price was often above $3 a gallon. 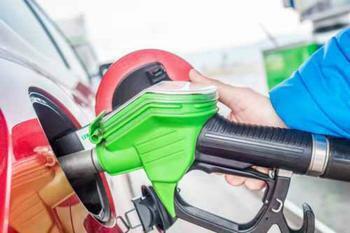 According to AAA, the least expensive states in which to fill up are South Carolina, where the average price is $2.10 a gallon; Arizona, where gas averages $2.12 a gallon; and Alabama, where the statewide average is $2.13 a gallon. Tennessee, Mississippi, Texas, Arkansas, Louisiana, Oklahoma, and Missouri all have statewide average prices below $2.19 a gallon. The most expensive gasoline states continue to be found in the West. Hawaii saw its statewide average climb above $3 a gallon for the first time in more than a year while California is the second most expensive state at $2.76 a gallon. In addition to higher oil prices, supply issues helped send prices higher in the Midwest during the last week. The latest data from the Energy Information Administration show gasoline inventories in the region fell by one million barrels last week, mainly due to lingering refinery issues. But the pain was not felt evenly. Michigan drivers saw prices at the pump go up seven cents a gallon while Ohio motorists saw prices go down by the same amount. How real is OPEC's agreement to cut oil production?